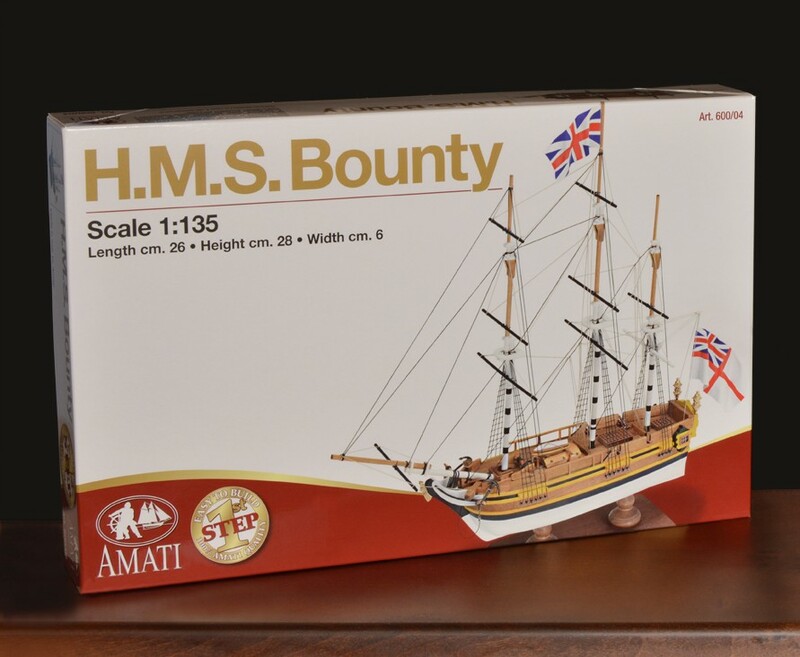 A 230 ton sailing ship, originally commissioned as a merchant vessel, in 1787 the Bounty was assigned to the Royal Navy for voyages of exploration. 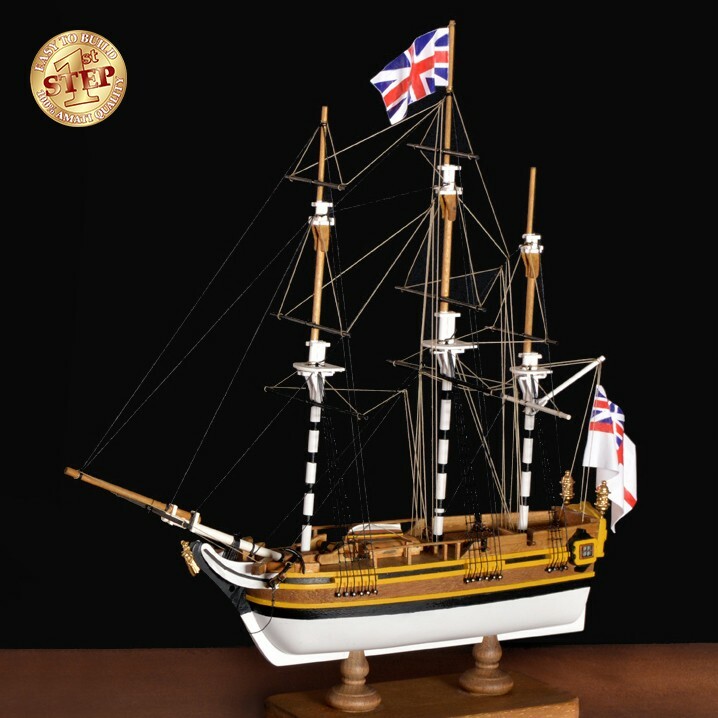 She became famous above all for the mutiny of her crew against her captain, William Bligh. This model, together with all the others making up the First Step series, does not require any previous model maker experience and no specic tools are needed. Your imagination will suggest you how to embellish it with all Amati accessories or you could add your own decorations on bulwarks and decks.